When you're in need of restorative or cosmetic dental treatment, count on a team of professionals that have your best interests in mind. Dr. David Schirmer and his staff at Schirmer Dentistry bring a whole new level of care to the field of dentistry. When you come in for your appointment, you will immediately feel relaxed and at home. With a friendly staff, caring dentist, and inviting facility; you'll know you're in good hands. Our experienced staff will use their knowledge to make your dental treatment as easy and painless as possible. Each member of our staff at Schirmer Dentistry goes above and beyond to make sure you have a comfortable dental experience and leave our office smiling! I truly enjoy dentistry as a profession and come from a family full of dentists, including my father, daughter, and several cousins. 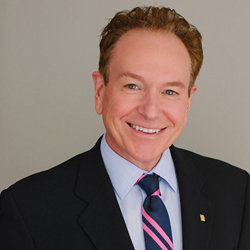 Before moving to Sarasota, Florida, I practiced in New York as a successful general and cosmetic dentist. With my new team here in Sarasota, we are continuing the practice of general and cosmetic dentistry with the special interest in facial esthetics and treatment of obstructive sleep apnea. We have constructed a new state of the art facility here in Sarasota adjacent to Memorial Hospital. We are very excited to provide our patients with the highest level of care, but with special attention to their particular desires in treatment options. Highlights of my career include several honorary fellowships as nominated by my peers. I also am one of the co-authors of the first book on quality measurement in dentistry. But most of all, I have enjoyed providing care to all of my patients and look forward to serving you. I am a Dental Assistant and have specialized training in Expanded Functions. These include taking impressions, making temporaries, polishing and carving restorations, application of topical anesthetics, and placement of sedative fillings. I received my education and certificate from the Concorde Institute in Tampa, Florida. I am fluent in Spanish, and can assist our Hispanic patients with translation if needed. I have worked as a dental assistant for 16 years. I am married with three wonderful children. I enjoy devotional and spiritual reading. One of the things I like best about working with Dr. Schirmer, Christy and Suzy is the calm and tranquil environment we have at Schirmer Dentistry. I am a Certified Dental Assistant, and hold a Bachelor’s degree from the University of Florida with a major in Community Science and a minor in Health Science/Pre-doctoral Dentistry. Go gators! I am also a Licensed Cosmetologist, with specialization in Facial Esthetics and hair color. 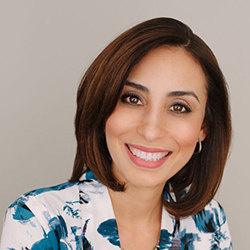 I love treating patients with Dr. Schirmer and I am thrilled to take care of your dental and esthetic needs while you enjoy Schirmer Dentistry and Spa! I am a graduate of Saint Petersburg College with a major in Dental Hygiene. I am happily married with three children. I have enjoyed working with adults and children including those with special needs. My goal is to promote a healthy lifestyle for you, which starts with good oral hygiene. Leisure activities include: cooking with vegetables from my garden, reading, bicycling, and walking with my husband and two dogs, and volunteering at church. I am very excited to be a part of Dr. Schirmer’s team.